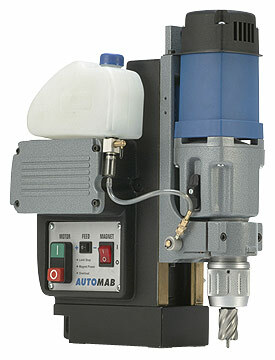 AutoMAB 2000 – Portable Magnetic Drill | Advance Drills Inc. Compact, lightweight and portable: 17-5/16″ high, 46 lbs. Drill up to 2″ dia. 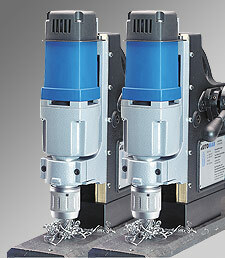 Model AutoMAB 2000 is ideal for series drilling – work with several machines at the same time. 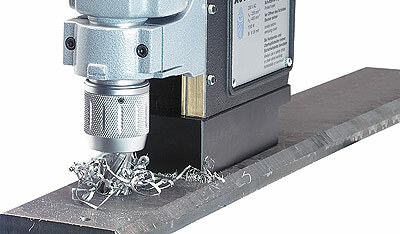 The fully automatic functionality of this drill makes it ideal for inexpensive, accurate drilled holes in a series – in applications such as facade and roof elements. And, at only 46 lbs., the machines are easily portable to the job site. * Please note: 110 Volt motor is standard for our other magnetic drills.